At Ensemble Video, we understand that every single one of our customers –– university or enterprise –– has their own needs, team capabilities and existing structures they work within when onboarding a new organization-wide tool. That’s why we customize our training for each of our clients. We dig into your specifics. It’s important to us that you can make the most out of our platform. That’s why we work with you to learn exactly what you want to use Ensemble Video for and what you need to know to be able to use it. When you’re in the process of deciding whether Ensemble Video is the right platform for your university or enterprise, we ask important questions about how you plan to use the platform, the pain points you’re seeking to address and any concerns you may have. After working with hundreds of customers over the years, we’ve found that the most successful users take full advantage of available Ensemble Video training. Additionally, those organizations get the best return on their Ensemble investment. We provide training based on your unique needs. 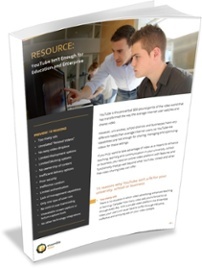 Ensemble Video onboarding is not a cookie cutter, one-size-fits-all affair. Based on the top three needs you’ve shared –– and maybe others we’ve recognized from conversations with you and your team –– we customize our training session for you. After the initial training session, we recommend taking a couple weeks with your team to get to know the Ensemble Video platform. But, we also can work at whatever pace you prefer and can provide multiple training sessions if needed. 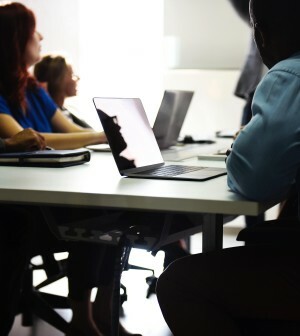 For example, one of our enterprise customers, a leading car parts retailer, was extremely process-oriented and careful about getting all of the right people in the room for a training session. Another university customer took advantage of multiple training sessions. Because of these trainings, both teams have been able to seamlessly implement and manage Ensemble Video within their organizations. Some clients prefer to dig in to the platform on their own, while others don’t want to move forward until our team provides guidance. We’re happy to work with you either way, and our customers often note how much they appreciate our attentive training and support teams. We can record and caption the Ensemble Video onboarding training session (or sessions) and share it with you so you can reference back any time, using search inside for specific terms. This is helpful for our customers who frequently need to train new team members on the platform. But if you need additional assistance beyond this recording, don’t hesitate to reach out. Set up a demo with our team, or download our onboarding guide, 3 Days to Ensemble, to learn more about what you can expect when you choose Ensemble Video. If you’re already an Ensemble customer and have a question for us, let us know on our support page. We’re here to help. Now that you know what to expect from Ensemble Video training, take a look at our onboarding guide. 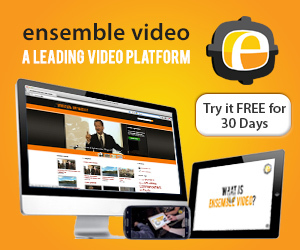 Download our guide to learn more about what to expect when you get started with Ensemble Video.